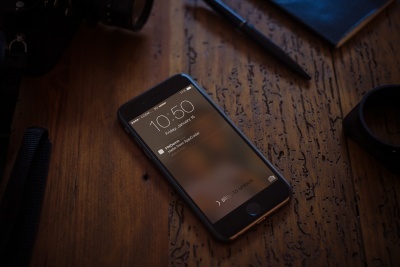 Update: The post is updated to make it compatible with Xcode 5 and iOS 7. Update #2: You can now refer to this sample chapter of our Beginning iOS 9 Programming with Swift book to learn what you need to start iOS programming. So far over 600 6000 readers have signed up the free iOS tutorials. First, thanks for those joining our community. Before we begin to talk about iOS programming, let’s go through the tools you need to build your first app. Yes, you need a Mac. It’s the basic requirement for iOS development. To develop an iPhone (or iPad) app, you need to first get a Mac with Intel-based processor running on Mac OS X version 10.8 (or up). Probably you still own a PC, the cheapest option is to purchase the Mac Mini. The retail price of the entry model is US$599 (if you purchase via Amazon, the used model starts at US$490). You can pair it with the monitor of your PC. The basic model of Mac mini comes with 2.3GHz dual-core Intel Core i5 processor and 4GB memory. It should be well enough to run the iOS development tool smoothly. Of course, if you have more budget, get the higher model or iMac with better processing power. Don’t mix this up with the paid iOS Developer Program that we’re going to talk about in later section. 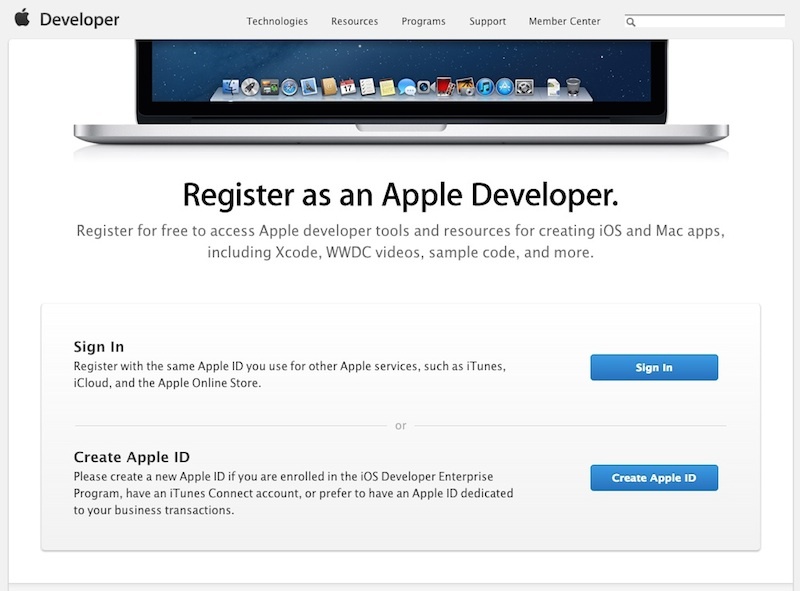 Everyone can register as an Apple developer for free. 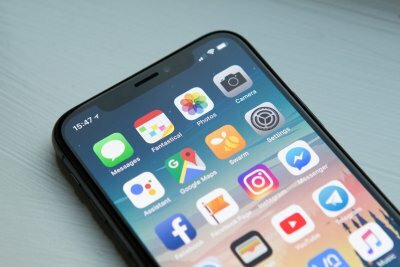 By registering the developer account, you’re allowed to download Xcode, access documentation of the iOS SDK and other technical resources such as development videos. You can go to Apple’s developer website for registration. The registration process is very straightforward. Simply create an Apple ID (if you don’t have) and fill in your personal profile. To start developing iPhone and iPad apps, Xcode is the only tool you need to download. Xcode is an integrated development environment (IDE) provided by Apple. Xcode provides everything you need to kick start your app development. It already bundles the latest version of iOS SDK (short for Software Development Kit), a built-in source code editor, graphic user interface (UI) editor, debugging tools and many more. Most importantly, Xcode comes with an iPhone (or iPad) simulator so you can test your app even without the physical devices. To download Xcode, launch Mac App Store on your Mac. If you’re using the latest version of Mac OS, you should be able to open the Mac App Store from the icon in the dock. In case you can’t find it, you may need to upgrade the Mac OS. In the Mac App Store, simply search “Xcode” and click “Free” button to download it. 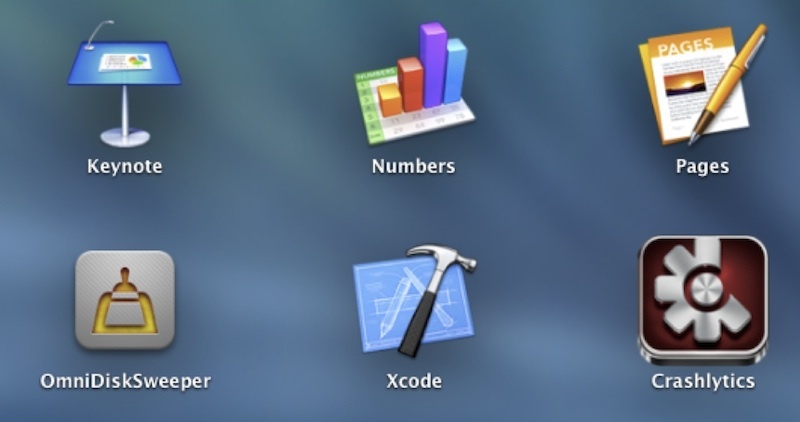 Once you complete the installation process, you’ll find the Xcode folder in the Launchpad. At the time of this writing, the latest version of Xcode is 5.1.1, which adds the support of iOS 7.1. For the upcoming tutorials, they’ll be based on this version. Even you’ve installed Xcode before, I suggest you to upgrade to the latest version if you’re planning to follow our tutorials. A common question about developing iOS app is whether you need to enroll in the iOS Developer Program. The short answer is “optional”. As mentioned earlier, Xcode already includes a built-in iPhone and iPad simulator. You can develop and test out your app right on your Mac. Without joining the iOS Developer Program, however, the simulator is the only mean to run your apps. You can’t deploy and test the app on your device. Needless to say, you’re not permitted to submit your app to App Store. In other words, you can’t sell your app! The simulator is powerful, however, it doesn’t simulate all features of iPhone. For instance, it doesn’t come with the camera or video capture feature. So if you’re building a camera app, the only way is to test it on a real iOS device. In other words, you have to join the iOS Developer Program! So should you enroll in the program now? The iOS Developer Program costs US$99 per year. If you’re a new comer and just start exploring iOS development, you can rely on the simulator to test out your app first. You can wait until you have a solid plan to distribute your apps on App Store before enrolling in the program. That’s all for today. Take some time to register your developer account and install Xcode. Once you’re ready, check out the next post and start to build your first app. Got a question? Leave me a comment or ask it at our AppCoda Community Forum. In the article, it mentioned OS X 10.7 and up in order to create app, can you explain the reason why Snow Leopard 10.6 will not be work? Let me clarify. You may develop apps using older version of Xcode. However, only the latest version of Xcode adds the support of iOS 5.1. So, try your best to grab Xcode 4.3.2. If you don’t want to upgrade your Mac, you can still get the older version (i.e. 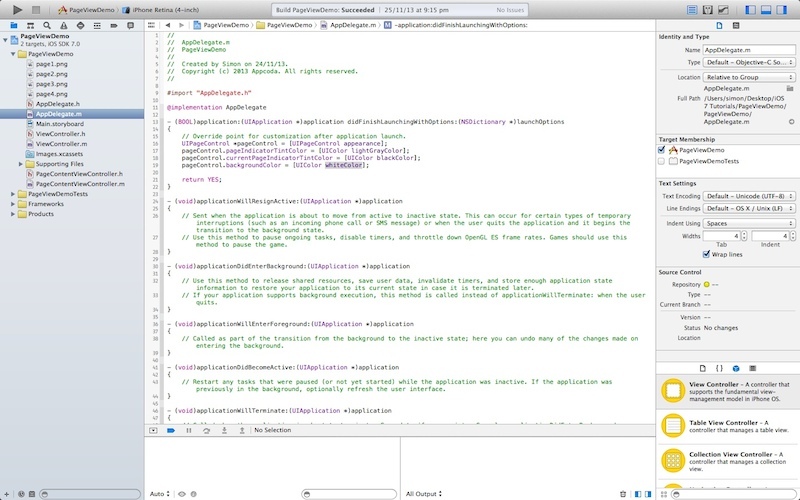 4.2) of Xcode through the iOS developer website. Simply go to the following URL and login with your Apple Developer account. You should be able to download Xcode 4.2 for Snow Leopard. I Got a second hand Mac Mini late 2009, and it’s working like a charm. By the way this website has been a great help, thanks so much! Yes, most of the tutorials should be compatible with the XCode 4.6 or up. Great tut, it’s not easy finding this info and it rocked!!!! would i be able to use these tutorials for xcode 5.0 ? The post is updated to make it compatible with Xcode 5. For other tuturials, most of them should work with Xcode 5 too. let’s log the date when I begin my iOS learning experience in AppCoda. I need suggestions for buying my first personal mac computer. I have a 40 inch 1080p 60 Hz TV already and I was planning to go for the top model of mac mini. Since further change of configuration is not available in India, I can not opt for more RAM or swap the fusion drive with SSD. I have been working on a 2013 mid range iMac in office. Majorly I want to use Xcode, surf internet, write blogs and watch videos. But I also like editing videos and images while using Final cut pro and Photo shop sometimes. Considering the fact that video editing is something I would seldom do, I am confused between the 3 models of mac mini. Should I simply buy the cheapest option or should I invest more and hope that the faster processing will pay off in terms of satisfaction and lesser waiting time? Is there a free xcode for Snow Leopard OS? I am new developer for ios please help me out what i do for my first project how can i start this? If no have mac book computer can not lean programing? If i have just windows can use? discover How To Create An Iphone Or Ipad Apps And Games Succeed In App Store! Is there any workaround to use a PC instead using MAC? a virtual machine in windows isn’t good enough?? 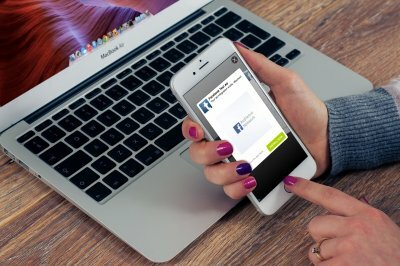 please take a look on https://blog.udemy.com/xcode-on-windows/ could this be a good approach for ios programming using PC? With due best wishes, i’ve a pc (Qube International QL 18345EA, Core-i3 2367M 1.4GHz., 4G DDR3 RAM, 500GB HDD). Can i use a mac mini with this pc & can i start mac programming with this configuration? Let me inform soon. great job….. tutorial as simply awesome..!! Why does Apple ChArge MonEy when andRoId plAtform Is opeN To End proGRAmmers and Today’s budding dEvelopers ‘S’houlD… not be CHALLENGEd! if you can’t sell your apps they are only for you or can you later sell them in other programs and or how can I do that? another question would be, can the developer of the website take your app and sell it themselves. Nice article. Detailed and good starting point for new iOS developers.They can get an idea from where to start.We at CodeSchool Technologies Provide the same basics as well as advance training to our students.We have designed our syllabus (http://codeschooltech.com/ios-training-in-pune-best-ios-training-institutes-in-pune-ios-courses-in-pune/) in such a way that they will learn all the things during the iOS app development course. Sir if i convert my windows pc into mac then ?? it work or not?